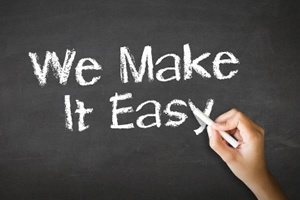 We take the hassle out of changing accountants and make it as easy as 1, 2, erm ... well that’s it really. 1. A simple letter or email from you (we’ll even give you a draft if you need one) and that’s all you need to do. 2. 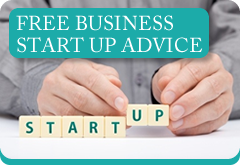 We will write to your accountant and ask for all the information we need. Your accountant is not usually allowed to charge you for providing the normal handover information. We will contact HMRC and submit all the necessary paperwork. If you’ve got this far, your accountant probably isn’t giving you an excellent service at a fair price. We would love the opportunity to show you that not all accountants are the same. 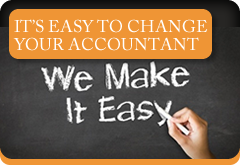 It’s that easy to change your accountant you’ll wonder why you didn’t do it years ago.